Vintage New Media, Inc. is a custom software development company specializing in building and hosting extremely effective, niche, turnkey websites. We handle all aspects of the website project including software design and development, content development, blogging, search engine optimization, and marketing tailored to your industry and niche market. 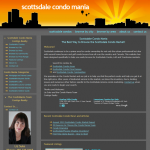 Our Condo Mania real estate websites are bundled in a full service package that includes hosting, custom content, blogging services, search engine optimization, and on-going software development. Our clients are team leaders who are dedicated to their local residential condo, loft and townhouse markets. We work with only one client per major market area and do everything possible to make the website extremely effective at real estate lead generation. For more information click for our Real Estate Agent Websites and Lead Generation. 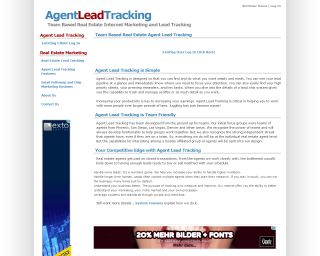 Agent Lead Tracking is a simple to use, but comprehensive lead tracking, contact management and transaction management system designed from the ground up for teams that handle Internet generated leads for real estate agents, teams and brokers. 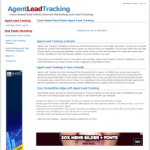 Agents can easily track hundreds of leads through the pipeline process. For our team leader clients, Agent Lead Tracking provides a suite of conversion rate and performance metrics to manage their teams. For our broker clients, Agent Lead Tracking provides a Transaction Management module which tracks and manages the contract process from escrow through closing including check processing and accounting functions such as 1099 tax forms. Launched in 1996, The Vintage Library is a speciality bookstore and ebook publisher of rare and out of print stories from the pulp fiction era. We continue to provide a selection of over 1,000 small press books, cliffhanger serials on dvd, and old time radio shows on audio cds. 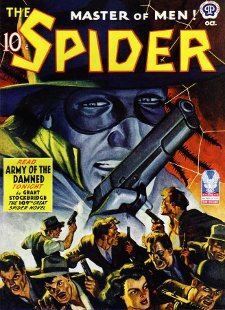 We currently offer over 100 e-books featuring classic pulp fiction stories from the 1930s and 1940s. We have lots more to tell you about our services, so if you are interested please call us or contact us here so that we can set up a time to begin a discussion to see if our services are a good fit for you and your market. Copyright © by Vintage New Media, Inc. · All Rights Reserved.